This is not just a house- it's a place you, your family, and friends will call home. Completely updated modern farmhouse feel with reclaimed wood accents, clean white lines and attention to detail- this space presents an easy flow with a place for every family member. On trend updates (in line with Houzz.com 2019 updates for the year) such as cream-colored cabinets - some with cut-out detail, white full-tile feature backsplash, quartz island and counter top with contrasting colors. Wolf range and stove and stainless appliances. The Master suite has it all- sleeping and lounging space, eye-catching wood vanity, walk-in closet, and wait until you see this shower! A true retreat. 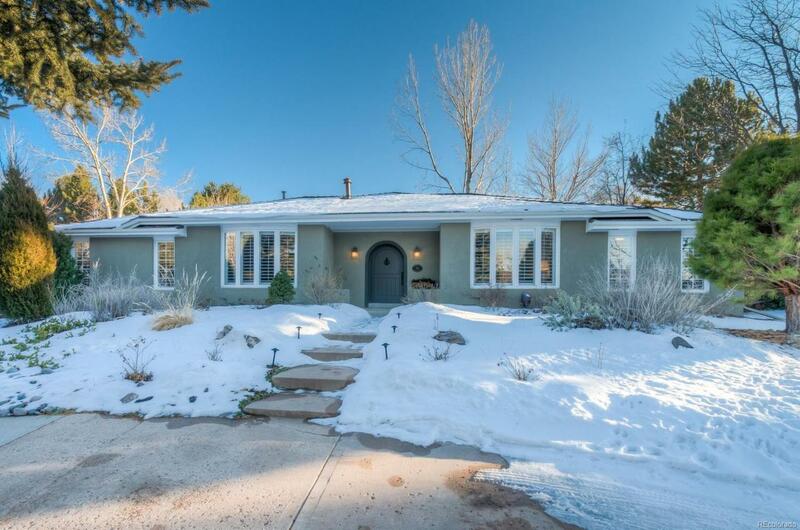 Half an acre lot, mature landscaping with water feature (which is currently covered by snow) and entertaining space perfect for summer gatherings. Mile from Columbine Country Club. Award winning schools and community oriented neighborhood with nearby park and trails.